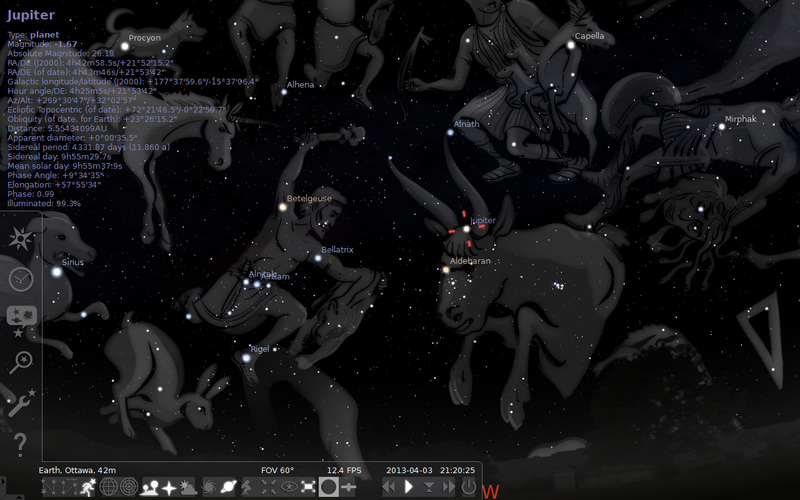 Kewl App Alert: Stellarium Open Source Planetarium Brings Space To You or Your Classroom/ Library/ Etc. Reader Request week continues with this post from my very own cousin, Dominic, who suggested it via Facebook. BTW have you seen the lovely new Spydergrrl on the Web Facebook page? No? Take a moment and go Like it, will you? We'll wait for you to come back. Oh, you geeks. You are just so inventive what with your Interwebs and open source. I love it when you combine all of that with some good old fashioned star gazing. Like in the case of Stellarium. 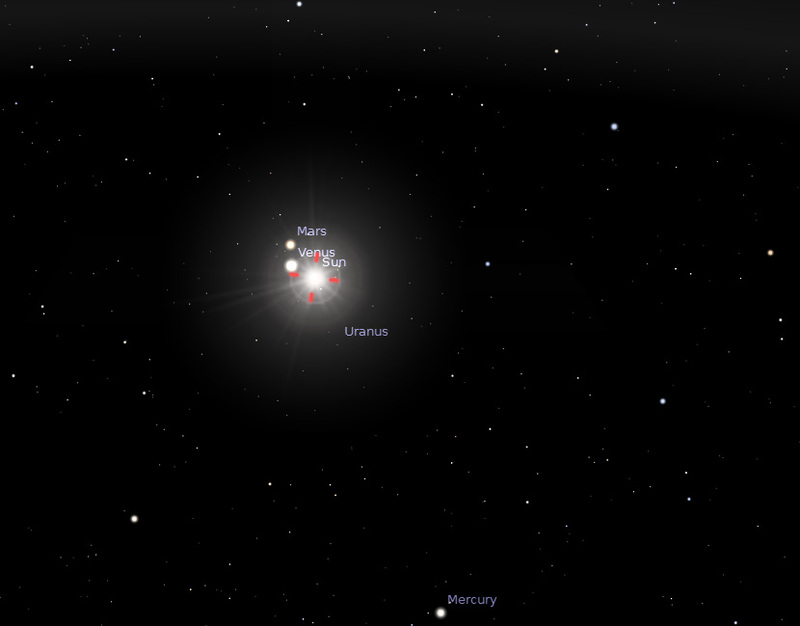 According to the site, "Stellarium is a free GPL software which renders realistic skies in real time with openGL." For you non-developer types, allow me to translate that into English: Stellarium is a free software licensed for general public use (i.e. non commercial) which allows you to view images of the lovely skies and space around us as they would appear if you were outside using a telescope or binoculars, and it does so using Open Graphics Library which is an open source application programming interface that helps to render graphics quickly (hence the real-time capability) and in high detail. Aren't they gorgeous? And there's a lot more where that came from! 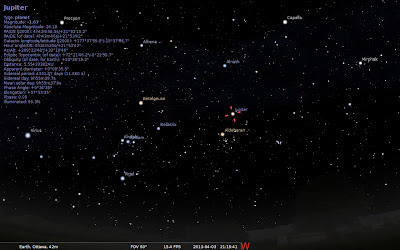 To get Stellarium, you download and install the program on your computer. It's been coded for a variety of platforms including Linux, Windows, Mac and Ubuntu. The user interface takes a bit of guessing if you're like me and you're too eager to read the ReadMe file or peruse the web-based user manual. Now given that Stellarium is open-source, the developer community can contribute into the program and the images by collaborating on the site wiki. The developer space contains blueprints for various planets, code bases, bug lists and even work in progress translations. Oh and it contains "extensive star catalogs. 600,000 are included by default, but you can even download extra catalogues to see up to 210 million stars. This work was done by our team member Johannes." Wow, Johannes has been a very busy boy! Not only is Stellarium a pretty fun tool to download on your home computer for a little couch-based star gazing (especially since Winter just won't leave this year). But, it's being used in planetarium projection systems. So consider how awesome this would be as a teaching tool! You could plug this into a classroom projector and teach the kids about the stars, plug in your own city or other locations around the globe to see how different their skies look. You can turn the atmosphere on and off, so you can visualize the daytime sky and then make it magically disappear to reveal the stars we can't see during the day. And what about setting up a permanent installation in the school library to let kids explore space on their own time? Or even at the public library? Dog knows libraries are facing an identity crisis these days, and anything that can help them hack their own existence to make them more relevant is a good thing.